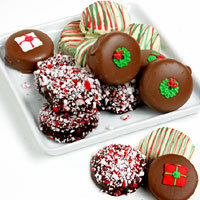 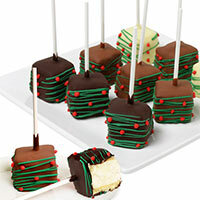 Celebrate the most wonderful time of the year with these decadent treats! 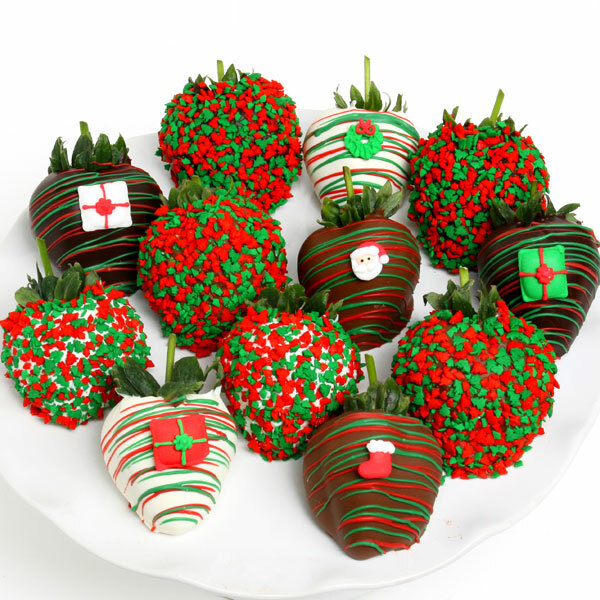 We've taken a dozen of our perfectly ripe strawberries and dipped them by hand into baths of our irresistibly smooth Belgian chocolates. 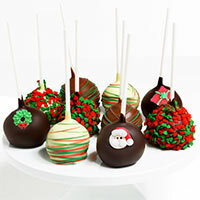 Each fruit is then artfully decorated with tiny festive sprinkles or ribbons of silky chocolate and bright holiday candies.